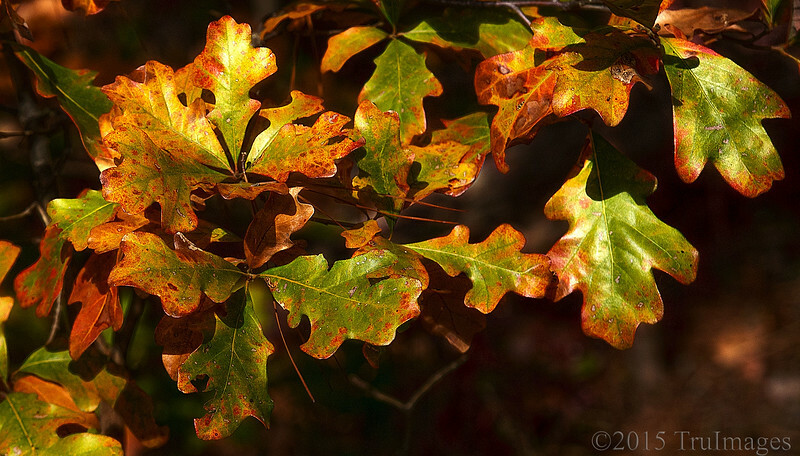 A colorful display of oak leaves. Wonderful light. Couldn't be better. Wonderful detail, light and composition. Gorgeous light on the oak leaves; great comp! Gorgeous mixture of autumnal colors with great textures! Such a lovely Fall scene! I do love the colors the most!